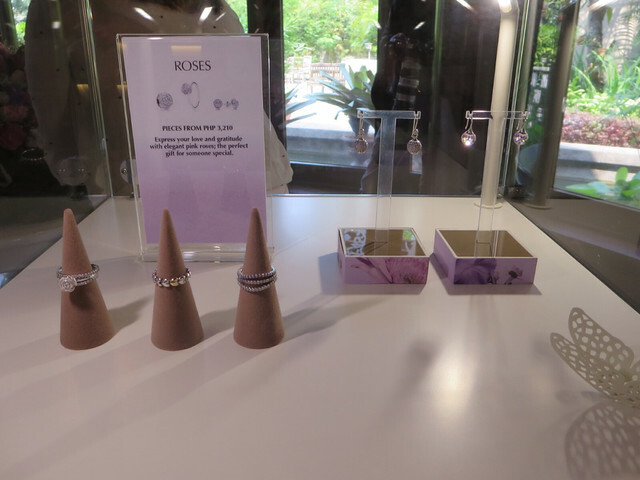 Pandora Spring Paradise Collection & Mothers Day Collection 2014. 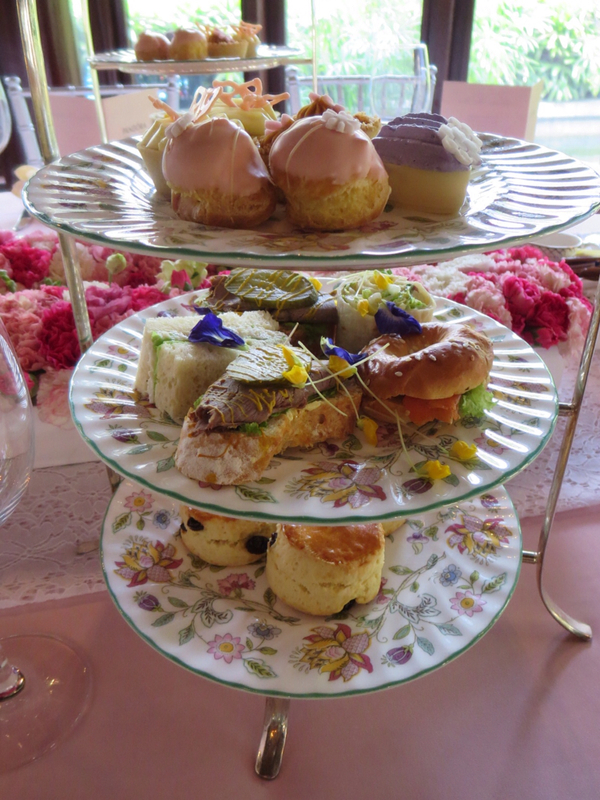 Last week, I was invited to an intimate high tea party where Pandora unveiled its Spring Paradise Collection and Mother's Day Collection 2014. 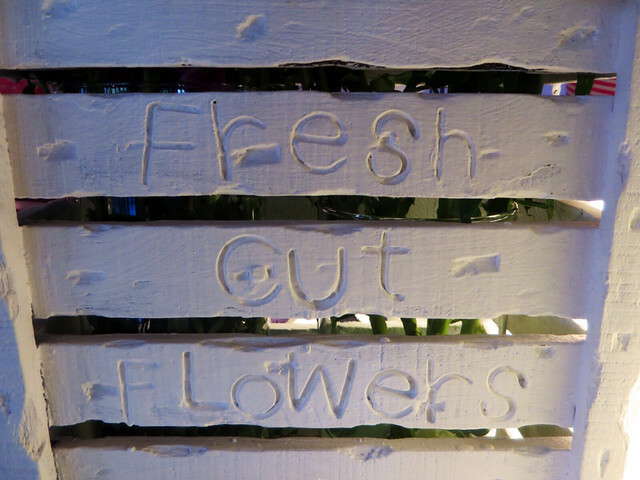 True to its theme, an assortment of soft florals, pretty pastels, and delicate swarming butterfly decor greeted us as we entered Spices Restaurant of the Manila Peninsula Hotel. 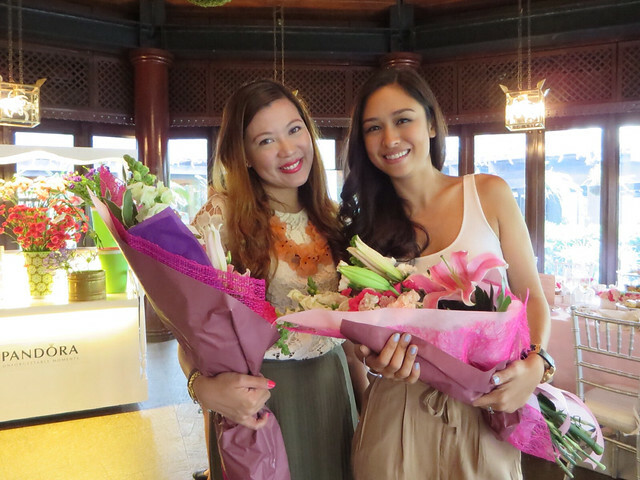 While waiting for everyone to arrive, event host Issa Litton asked those already present to pick flowers for our bouquet. It really did feel like spring with all the pretty flowers surrounding us. 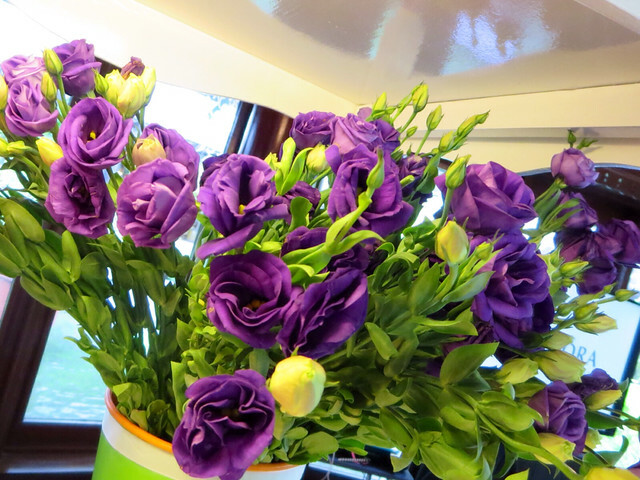 I love the purple roses! 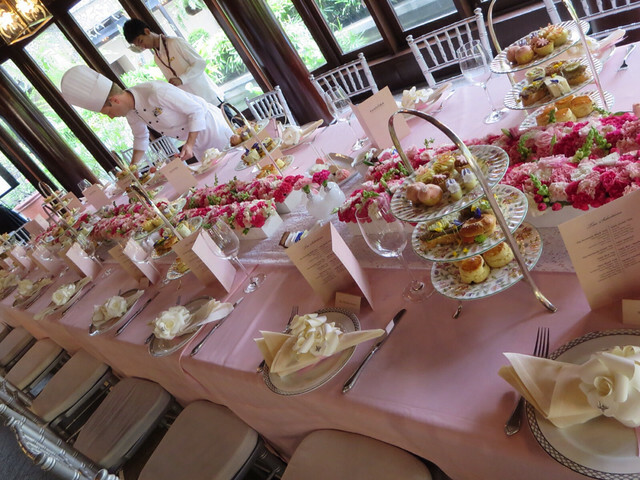 Here is the chef making sure everything is ready for our Afternoon Tea Menu. 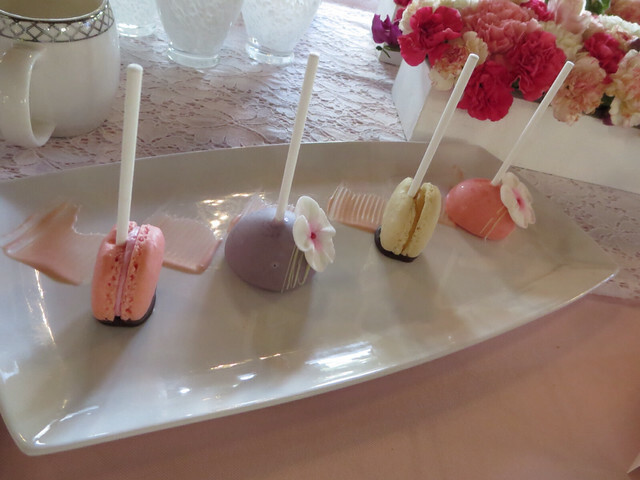 The table set up is so pretty, thanks to Ferdie Salvador! 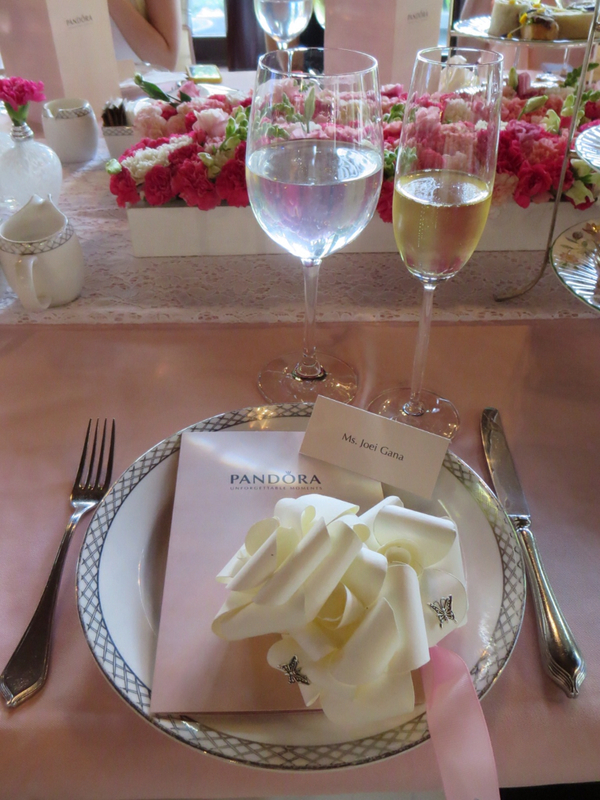 Even the paper flowers holding the table napkins are accessory-worthy. 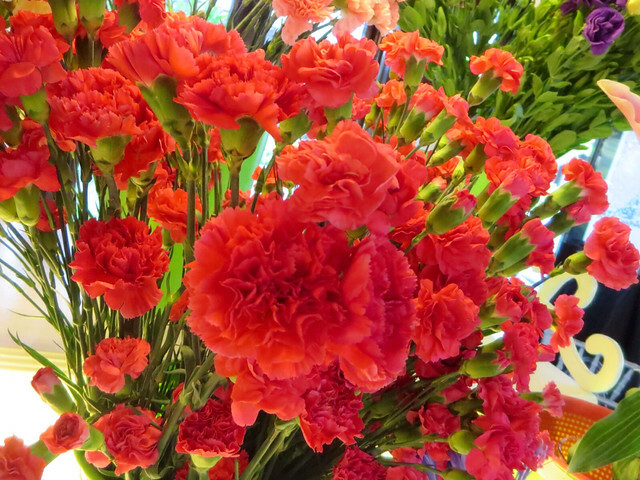 Not long after, we wore the paper flowers on our wrists, necks, and hair. 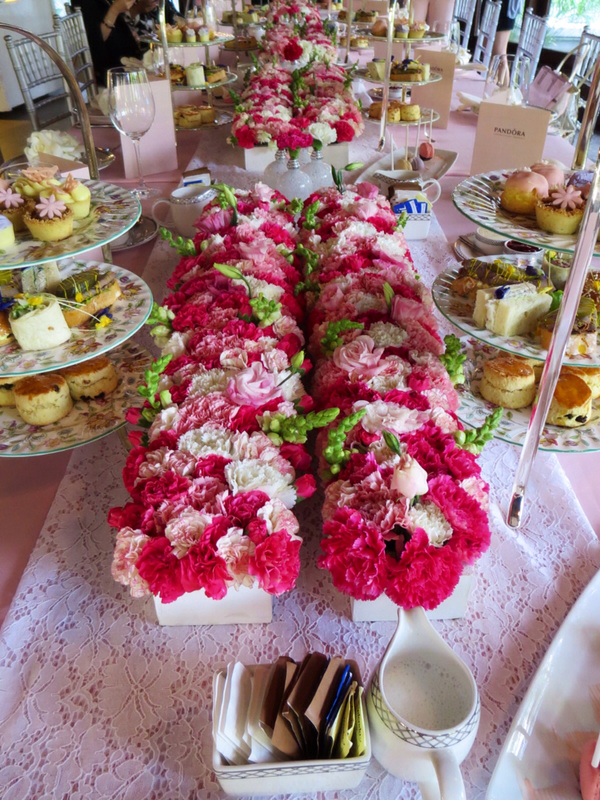 In the middle of the room are glass boxes featuring the Spring Paradise Collection on one side and the Mother's Day collection on the other. 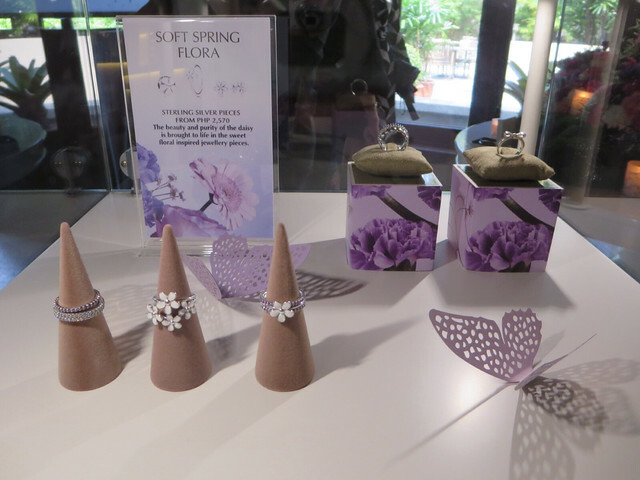 The Spring Paradise Collection features butterfly pendants, rings, and earrings made with sterling silver and embellished in zirconia. 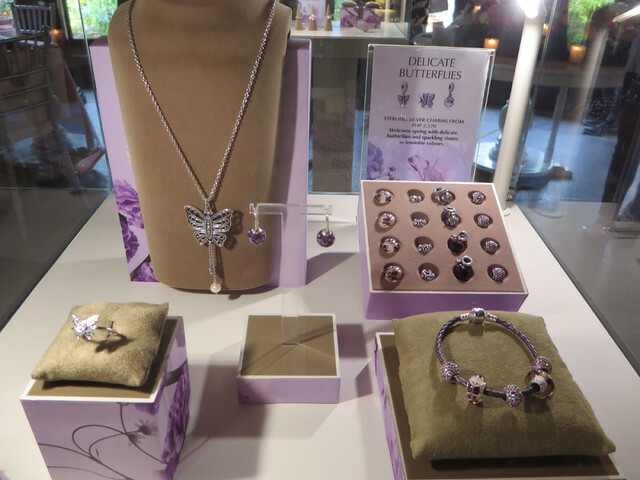 These pieces are specially crafted with Milgrain Detailing, which mimics the intricate texture of a butterfly's wings. Beautiful pave ball charms come in multi-colored cubic zirconia pink, lavender and blue to highlight the colors of spring. 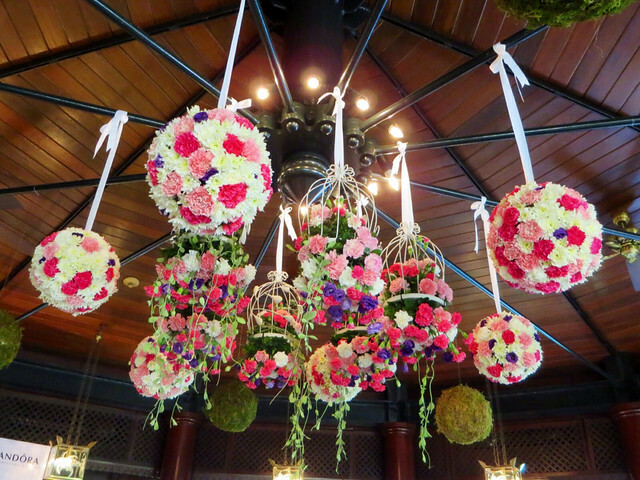 Also included in the collection are the flowers of the season with its daisy chains, English roses, lavenders and white flowers. While looking for a gift for my mom, I thought of bags, shoes, dog gift baskets and M&M gift baskets but after seeing the collection, I told my sister that a Pandora bracelet would be perfect! For their Mother's Day Collection, Pandora offers a limited edition Moments Silver Bangle (P5,150) which is a sterling silver bangle bracelet with pink cubic zirconia arranged in the shape of a heart on the clasp. There are also a lot of pretty charms that you can add to your gift. My favorite is the Sweet Mother (P4,500) sterling silver dangle charm with cubic zirconia and pink enamel. 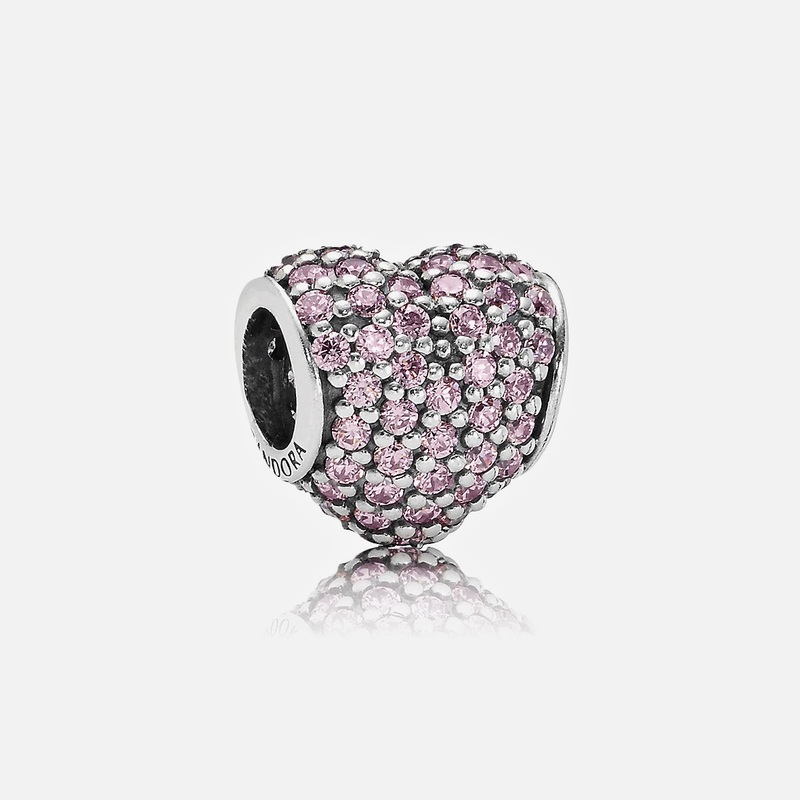 I also like the Pink Pave Heart (P4,500) sterling silver charm with pink cubic zirconia. 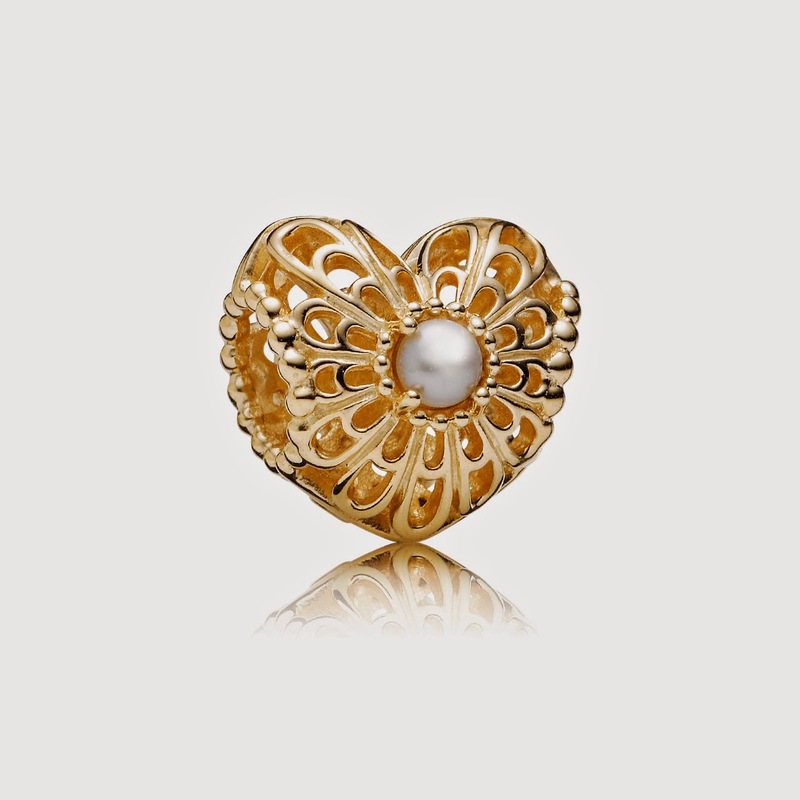 If you really want to splurge, get the Vintage Pearl Heart Openwork (P22,530) 14k gold charm with white freshwater cultured pearls. Pandora Philippines Sales & Marketing Manager Tricie Legarda welcomes us all to the event and thereafter played the videos showcasing their new collections. Then host Issa Litton announces that Pandora has a special surprise... We were each getting a limited edition Moments Silver Bangle! Patricia Prieto, Vern Enciso and me. 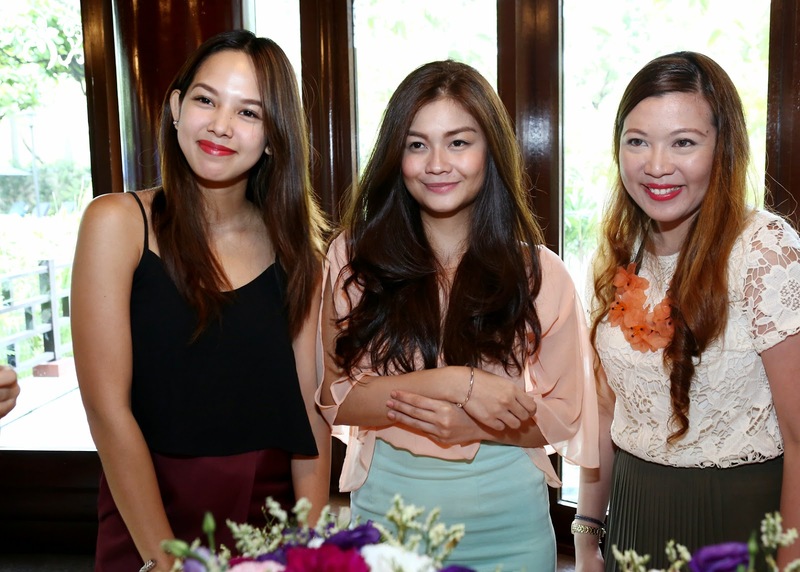 With the other bloggers and Rochelle Romero. 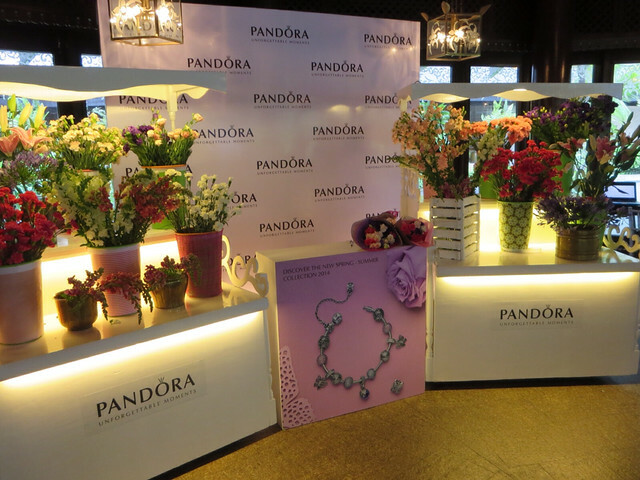 Pandora is available in the Philippines at Greenbelt 5, Glorietta 4, Bonifacio High Street Central, Newport Mall (Resorts World Manila), Shangri-la Mall East Wing, The Podium, Elements in Aura Mall, Megamall Bldg D, and Century City Mall.